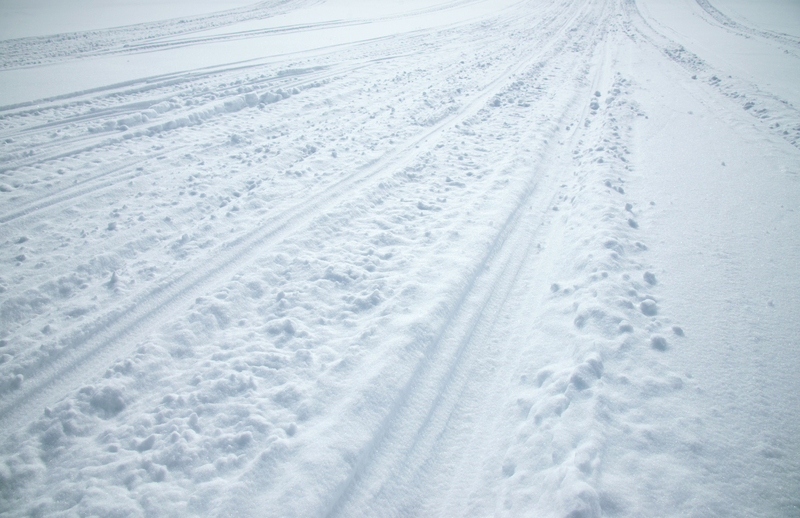 Snow has fallen and currently is staying in the upper Midwest and Great Lakes, portending a sure sign of the impending riding season as are announcements of more choices in new-for-2018 riding gear. 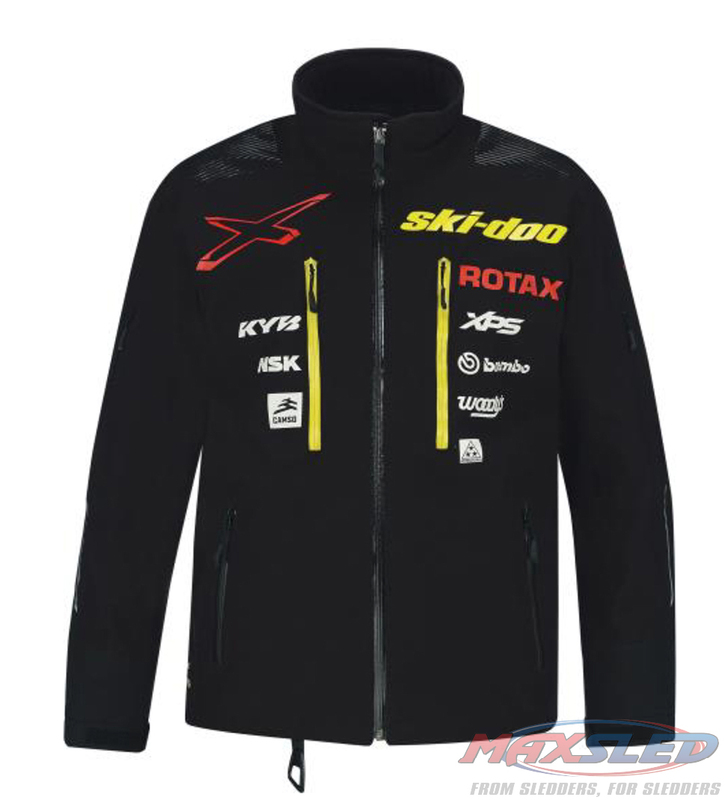 Ski-Doo is the latest to announce new gear. A harbinger to the Christmas season, perhaps? If you don’t head off to your closest dealership to get it now, print out this article and circle the gear you want and leave it in plain sight as a hint for your own personal Santa to gift you for Christmas. Ski-Doo steps up its own pre-Black Friday shopping push by promoting these outwear options that diehard Ski-Dooers must have. Check it out! 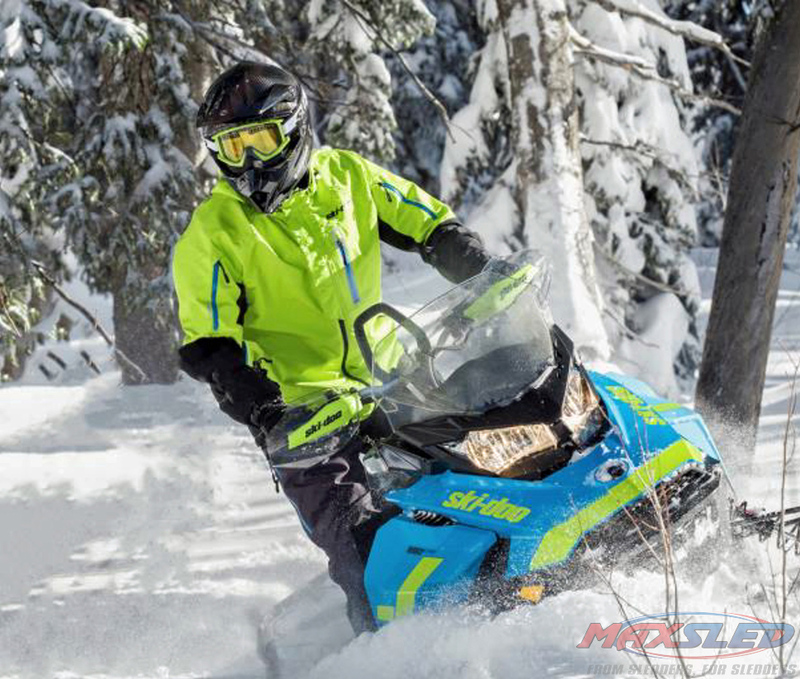 Ski-Doo’s new Helium Pro Jacket brings the next level of advanced outerwear to active crossover and cross-country riders—both on and off trail. Combining features and technology from hyperactive mountain wear with extreme cold weather riding gear, this jacket is a product that will answer these riders’ needs. Its contemporary styling is aggressive but tasteful, with key features like front and bicep venting that is accessible even when wearing a backpack back. The thoughtful design provides ultimate functionality for demanding riders. The shell features a tough, high-tech Cordura material with a Sympatex membrane to provide high performance breathability and exceptional water and wind resistance. Riders will appreciate how the jacket keeps them warm and dry even in wet conditions as the membrane protects against outside elements while allowing perspiration to evaporate. All Sympatex gear features a lifetime warranty. There also are matching Helium Enduro Highpants available in XS-3XL. Ski-Doo adds a new helmet to its line-up for model year 2018, the versatile Enduro EX-2 model, designed to deliver performance in all conditions. The Enduro EX-2 features some new ideas and crisp styling for a helmet unlike anything else. The look is familiar to the adventure motorcycle world, but the heated dual lens shield gives it snow world credibility. Its interchangeable retractable tinted sunshade separates it from the pack. Look for an expansion of Ski-Doo’s popular Helium 30 mountain outerwear as the company rolls out new colors and more options in both men’s and women’s styles for 2018.
provides a super lightweight outer shell but with all the benefits of a Sympatex membrane. 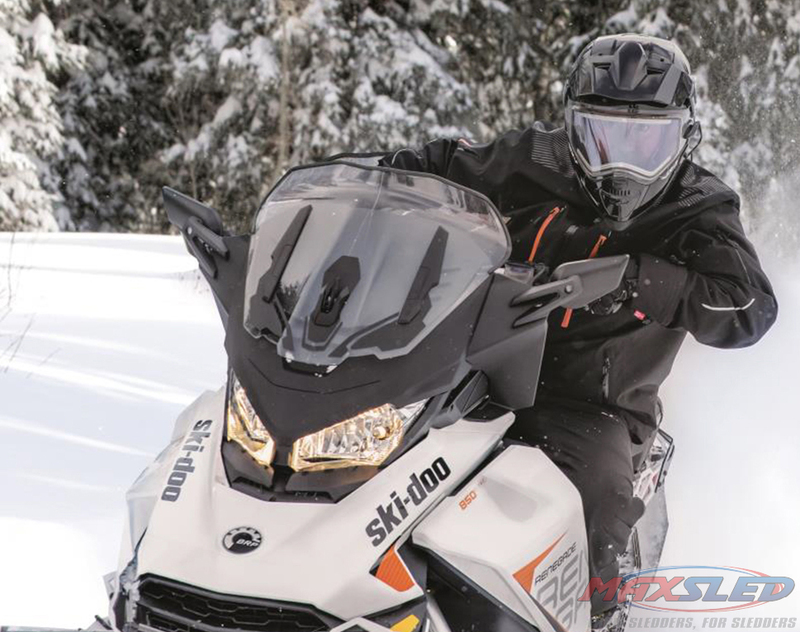 It’s become a favorite of most Ski-Doo Backcountry Experts who value that ease of mobility, yet absolutely need the protection and performance of a waterproof, windproof and breathable shell. The jackets and pants are constructed of a Sympatex 2-ply Laminated Polyester with all seams and logos sealed for maximum protection against water and wind intrusion, while allowing perspiration to evaporate through the membrane. Design details on jackets include water resistant zippers, a removable hood, powder skirt and venting under the arms and on the biceps. Designed with feedback from hard-core mountain riders, the pants feature high panels front and back for additional protection against snow and wind intrusion along with must-haves like properly shaped, reinforced knee and shin pads, reinforcement on the inner legs for abrasion protection, storm gaiters that connect to boot laces and stretch fabric in the waist for ease of movement. All Sympatex gear features a lifetime warranty. Men’s jackets are available in four colors, while pants are available in Charcoal Gray or Black. Sizes for both jackets and pants range from Extra Small to 3XL and tall versions. Women’s jackets and pants are one color available in Extra Small through 3XL. Pricing ranges from $369.99 – $399.99 USD/$479.99 – $519.99 CAD.